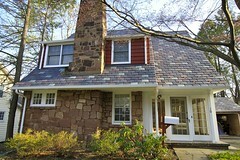 Many Somerset County home or business owners neglect keeping their roof into consideration. They figure as long as it’s not caving in, everything is alright. However, Somerset County roofing is far more important than that. 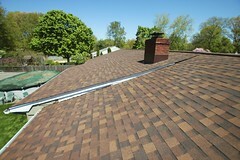 People only see the cost to repair or replace a roof and think it’s best left for later, but waiting can become costly. Consider these reasons to get Toms River roofing services sooner, rather than later. Your roof protects the vital, structural components of any building. Think of the cost to repair or replace damaged siding or framing for your home. A roof in poor repair can cause leaks and problems for these places in your home or office. Repairing these components can not only be costly, but problems with these areas can lead to further problems with the entire structure down the road. A choice to defer roof repair or replacement is a choice to gamble with the entire integrity of your home or office building. 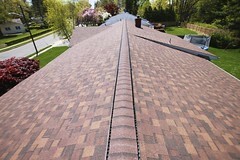 You’re saving a lot of time and headache by getting Toms River Roofing service proactively rather than waiting. A leaky or ill-performing roof can lead to damage to the interior of your home. Places where leaves and twigs have collected and stayed on your roof might have led to soft spots and these can cause damage to your flooring, interior walls, and possessions inside your home or office. Damage to your roof and gutter system can lead to overflow of water when rains come down. Clogged gutters can ruin roofing materials that stay wet all the time and sit next to decomposing materials. In turn, the displaced water from the clogged gutters can lead to water pooling around your foundation. This is the easiest way to get flooding as water leaks slowly through your foundation. All of this can destabilize your foundation as well. A professional Toms River Roofing company will help you keep your whole house in order by keeping your roof in proper working order. A roof is more than shingles sitting on top of your house. It’s able to insulate your home to make sure outdoor temperatures stay outside. With a new roof installed, you’ll be able to spend less on heating and cooling your home or office. 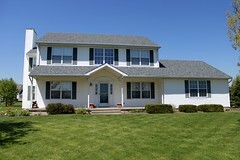 A quality roof can save you an incredible amount of money as well as protecting your investment. Looking for the BestSomerset County Service?